AURORA, OH: Video Products Inc introduces the addition of a low-cost 2-port HDMI switch. The VPI 2-port HDMI video switch enables one HDMI display to be switched between two HDMI video sources. The switch is simply controlled via the push of a button.The HDMI switch is conveniently plug and play which will immediately function as soon as connections are made. The user does not have to manually install any software or drivers for the device; the switch begins to work with the newly connected device automatically. 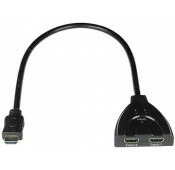 The 2-port HDMI switch eliminates the need to disconnect and then reconnect multiple HDMI sources. 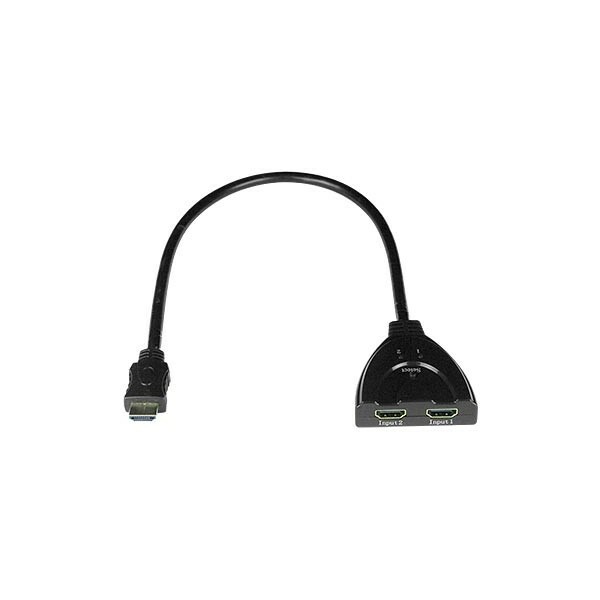 It is the ideal solution for switching between multiple connected HD media devices such as video game consoles, media PCs, set top boxes, DVRs, DVD players, etc. to your home theater systems. The unit supports HDCP compliant high-definition video, 12-bit deep color, 3D video and digital audio sound signals with zero loss. The 2-port HDMI switch supports high definition HDTV resolutions to 1080p (1920x1080) and computer resolutions to 1920x1200 (WUXGA). The unit supports LPCM, Dolby TrueHD, DTS-HD Master Audio, Dolby Digital, and DTS digital audio sources. The unit supports a bandwidth of 250MHz/2.5Gbps per channel (7.5Gbps for all channels). Available for immediate sale, the Low-Cost 2-Port HDMI Switch is only $19 each.